Holidays are coming and most often than not every household would like to have nice new decors on their homes and it is a perfect time to replace all those old furniture at home. Some may opt for changing their sofas and lighting at home. 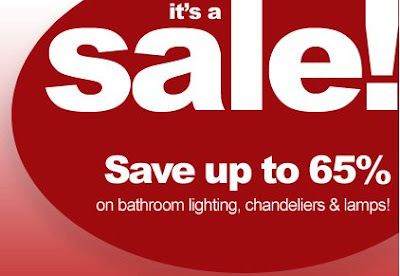 If you are meaning to change or maybe want to add some light fixtures for your homes, this SALE over at Lighting Show Place is a good steal. There are vast styles that you can choose from, great savings for this good deal. Bathroom fixture, chandeliers, wall lanterns, lamps, kitchen faucets and whole lot more. They also offer free shipping when your purchased over $75.